142047, 2C75, Lancaster, Thurs 6 December 2018 - 1617. The 1649 shuttle to Morecambe. 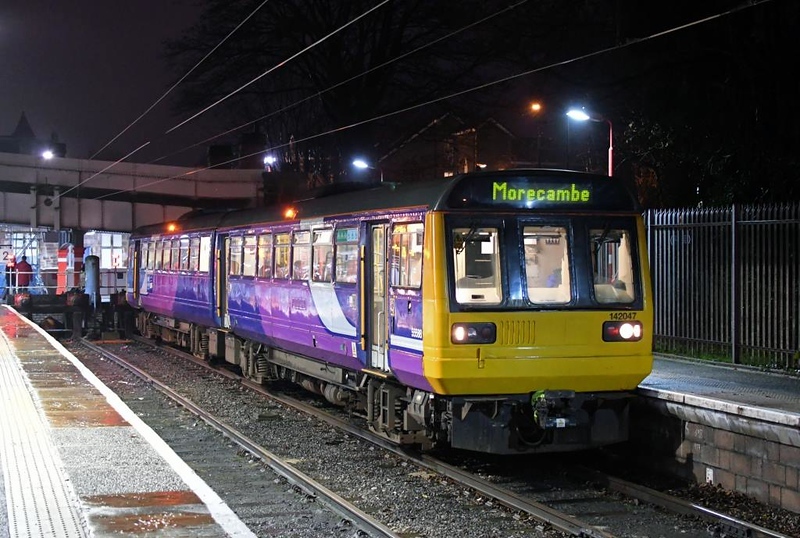 It had arrived on the 2C72 1542 shuttle from Morecambe.